This auction has now ended. Sorry if you missed it. 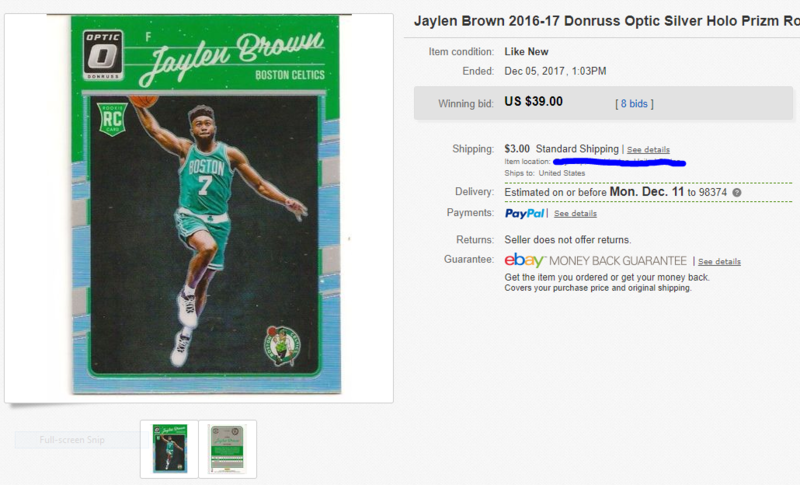 The 2016-17 Donruss Optic Holo Silver Jaylen Brown rookie card that I had up on my eBay ended up selling for $39. You can see the screenshot below.